Dr. Melissa Silverstein is a Long Island native who grew up in Woodbury. She graduated from Syosset High School and went on to receive her bachelor’s degree from Washington University in St. Louis. While completing her post-baccalaureate studies on Long Island, Melissa worked as an assistant at Syosset Animal Hospital. She moved to College Station to attend Texas A&M University College of Veterinary Medicine and Biomedical Sciences, where she received her doctorate in veterinary medicine. Dr. Silverstein then finished her year-long internship at the Veterinary Medical Center of Long Island in West Islip. She has since returned home to live in Woodbury with her husband Will, Cavalier King Charles Spaniel Sophie, and two cats Leroy and Marley. 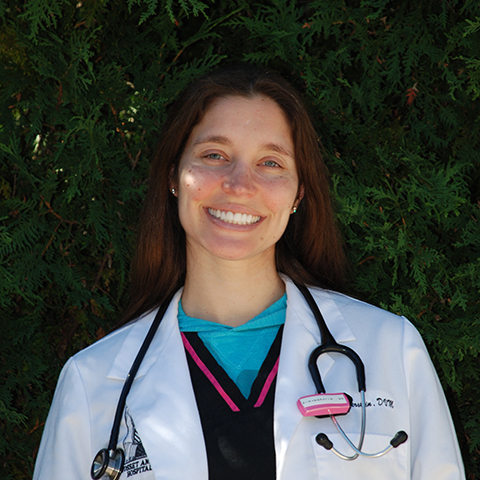 Dr. Silverstein is very excited to join the team as a veterinarian at Syosset Animal Hospital.